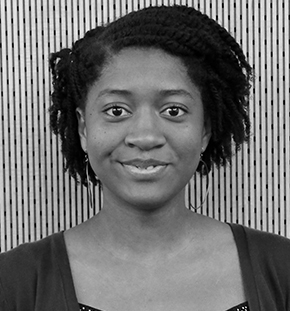 Shereese Trumpet (class of 2017) is a student in the B Arch Program. I chose SSA after I took an architecture course in CCNY’s College Now program with Professor David Judelson the summer of my junior year in high school. This course allowed me to gauge my interest in architecture and appreciate SSA’s environment. During the course, Noshin Apurba, an SSA student, shared her experiences and I was sold. SSA is a place of diversity, opportunity, and, most of all, students and professors who care. I am from St. Vincent and the Grenadines in the Caribbean with a population of 109,000 – approximately 1% of New York City. I went to an all-girls’ high school before I came to New York in 2009. When I moved to Brooklyn and enrolled in high school, imagine my surprise when the first day of school went nothing like what I’d seen on TV! I’d been living in a tiny bubble before I moved to New York, depending on imagery from movies to form assumptions of what life would be like. Before SSA, I went to the High School for Global Citizenship in Brooklyn. Not at all prestigious, but I would pick it again in a heartbeat. Global Kids, an organization at the school, was essential in helping me realize my potential, and the social issues that they discussed really humbled my attitude toward my own hardships: especially when we met and spoke with people who had very little means of overcoming their own hardships. I enjoyed the final project in my design studio with Professor Christian Volkmann in Fall 2014. The project asked us to design an apartment building for an empty lot near SSA at 128th and Convent Avenue in Harlem. My background had a tremendous effect on my attitudes about residential living, and this project allowed me to express that. My project – while still relating to the surrounding buildings – was radically different in the treatment of each apartment unit. Without compromising the quality of living space, the design allowed several shared interior gardens of varying sizes. Each garden spanned two floors and had a central atrium open to the elements. There was so much complexity in the project that ultimately led to its simplicity. Outside SSA, I make fine jewelry with a small jewelry business based in Brooklyn. Since my senior year of high school, I’ve made jewelry for craft shows in New York, New Jersey, and Pennsylvania. During my summer and winter breaks, I work as a design intern at TOLA architecture, a small firm in Park Slope, Brooklyn. I do this both for financial reasons and for experience. Over the years, I’ve noticed some similarities among the process of design, fabrication and construction, and marketing, not to mention the satisfaction of meeting your client’s requests while still maintaining the integrity of your work. Before coming to SSA, I was very skeptical of digital technologies, as I had no previous experience with them. At SSA I’ve learned to not be timid and throw myself into new learning experiences. The learning curve is fast and I very quickly gained aptitude in AutoCAD, Adobe Photoshop and Illustrator as well as Rhino. Learning these skills boosted my confidence and made me feel like I could learn any program.